Walking through the rows at Seven Springs Vineyards, her auburnish hair flowing in the South African breeze, winemaker Riana van der Merwe inspects grapes hanging from trestled limbs and contemplates their future. Like the canes to the wire, her future is intertwined with theirs. Together they are attempting to showcase what makes their vineyard, and South Africa’s Overberg region in general, a great place to grow wine. Situated in the Western Cape of South Africa, Overberg is one of the up and coming regions in the country. The same province boasts recognized stalwarts such as Stellenbosch, Paarl and Constantia, all of which own a history that dates back to the middle of the 17th century. With their very favorable viticultural conditions, many oenophiles would argue the best wines from the country can be found within the borders of these well-known districts. So while the competition may be tough, the Overberg district is ready for the challenge. And what it lacks in history and tradition, it more than makes up for in potential. With cold, wet winters and dry, sunny summers, Overberg is one of the regions in South Africa to show the most promise for pinot noir cultivation. And even though the finicky, yet highly-sought-after variety generates the most excitement throughout the area, other cool climate grapes such as chardonnay, sauvignon blanc, and syrah have displayed world class abilities. Riana van der Merwe intends to share these grapes’ qualities with the rest of the world. The road to becoming one of the only female lead winemakers in the country began in the same way as a bottle of Seven Springs wine: in the South African soil. Riana grew up amidst the farmlands of Vanrhynsdorp as an irrigation assistant to her father. For those sketchy on Western Cape geography or rusty on Afrikaans (the national language of the Rainbow Nation), the small town is about 300 km (190 miles) due north of Cape Town on the western coast. While managing irrigation scheduling, Riana met a colleague of her father’s who steered her intrinsic artistic abilities toward the world of wine. Pushing aside her aspirations toward a career in interior architecture, Riana decided to enroll at Stellenbosch University and ponder design through a bottle. With its first-class viticulture and oenology program, this university has launched the careers of numerous winemakers; Riana’s flight began soon after graduation. 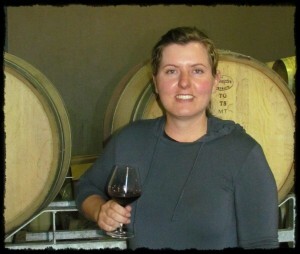 In 2007, after stints at South African cellars L’Ormarins, Seidelberg, Hidden Valley, and Backberg, Riana met Seven Springs owner Tim Pearson and an immediate synergy was apparent. From varietal selection to winemaking techniques, the two share a philosophy of how to allow the terroir of Seven Springs to shine through in their wines. Riana and Tim firmly believe that wine is made in the vineyard and strive to make wine-grape-growing as natural as possible to let the vines express themselves. This entails a lot of organic and biodynamic types of practices — though they are not certified as such — and keeping vineyard manipulation to a minimum. Located six kilometers from the Atlantic Ocean, Seven Springs Vineyards, named after the springs running through the local town of Caledon, produces pinot noir, syrah, chardonnay, and sauvignon blanc. The natural acidity in the grapes is enhanced both by the cooling influence of the large body of water and the shale soils the vines burrow through. Known as Bokkeveld Shale (for all you geologists out there), the soil is said to convey a distinctive minerality that can be found throughout Overberg. 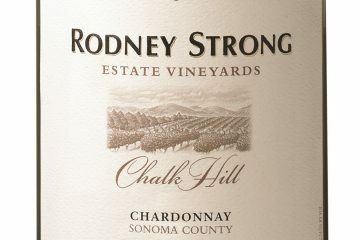 To retain this characteristic, Riana uses oak sparingly so as not to overwhelm the fruitiness and acidity of the wines. She also uses this approach because of the immaturity of the vines. Planted in 2006, the vines at Seven Springs Vineyards are still driving their roots through the shale soil, picking up the nutrients found in each passing layer. The early returns garner optimism for their future, as the first few years of fruit show great promise. In fact, Riana and Tim’s plans to forgo bottling with third year grapes, a common practice throughout the world, were shelved after the grapes displayed enough fruit and backbone to make worthy wine. Along with the vines, Riana is growing into her role within the wine world. The twenty-eight year old has traveled around the globe working harvests in several wine regions. She has spent time in the Alexander Valley in California to learn about chardonnay, the Rhone Valley in France to learn about syrah, and the Willamette Valley in Oregon to learn about pinot noir. And for those envious of her globetrotting exploits, working a harvest is not exactly an all-inclusive resort vacation. Yet, Riana’s passion for her craft propels her desire to seek out other firsthand experiences to supplement her talent. Over the last 20-30 years, South Africa has emerged from the indignity and turbulence of apartheid, riddled with boycotts of its wine, to reinvest in its wine industry and develop contemporary viticulture and winemaking techniques. Over that period there has been a new wave of winemakers who, many with Stellenbosch University degrees in hand, have shaped the modern landscape of the country’s wine industry. They are drawing on the long history of its oenological heritage while developing the New World style increasingly evidenced in its wines. 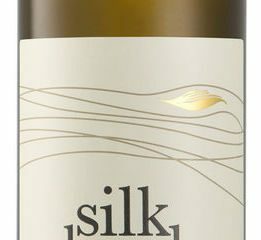 And Riana van der Merwe is contributing to this trend through the wines crafted at Seven Springs. 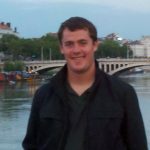 Michael Cavanagh is a freelance writer focused on Wine and Travel. He has toured vineyards across the United States, France, Italy, and Spain in search of interesting stories, memorable locales, and delicious food and wine. Very well written and informative article. Mr. Cavanagh’s knowledge of the wine industry and geography shines. Good luck to Riana!!! A big thank you to Mike for writing this article about us and 100% accurate. Riana and I conducted our ‘interview’ with Mike via SKYPE and e-mail and he has elequently captured our conversation. Onwards and upwards Mike – you show as much passion for your writing about wine as we do in producing it. I look forward to meeting you and Katie one day soon and sharing a few glasses of our wines with you. That was a wonderful read! If I’m a friend of Mike’s, can I drink your wine with you guys? Any friend of Mikes can drink our wine with us 😉 But, having said that, if he has a lot of friends we may have to make a small fee per participant (say he tongue in cheek). Many thanks for your feedback. As a new producer we appreciate the opportunity to get our story out there. Very nice article and interesting read, Mike! thats my girl!!! go Riana! the Cape has no rival for its crisp complex fresh wines, and is by no means a young winemaking tradition it dates back 400 years. Thanks Donna, always the biggest Seven Springs fan. Enjoy Vinitaly next week. Mike did point out that the Cape was making wines from the mid 17th century. 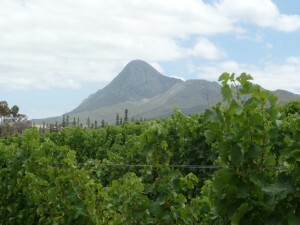 The Overberg (which means ‘over the mountain’) however is a relative newcomer in winemaking terms. When you and Katie come to SA, you will have to stop by and get your hands dirty. All the best to you both, it’s a pleasure to know you. What a Great article about Riana, Tim and Seven Springs big fan since I met Tim on Linkedin in one of the discussion groups. I hoping to stock when they get into the US. Thanks a million Matt. What you failed to say was that we have been in constant touch since. We have never met ‘face to face’ but I feel I know you so well. We would love for you to sell our wines in the USA and would be proud to see our wines selling in the USA. Matt, I too met Tim via social media. They are wonderful people! We will also be looking forward to the arrival of their wines in the US. Ditto my comment to Matt above. In fact I have known you and Mike on social media for a lot less time than Matt, but already I count you both as ‘friends’, we share many passions.